We are tirelessly committed to offering nothing short of a superb service to our members. We have increased in size substantially over the last few years and have seen more than 1000% growth since 2012. We believe this is testimony to the service we offer and the desire for change amongst martial arts clubs, instructors & coaches. Most instructors will have tried a few organisations or associations in their time and most say the same thing; politics and egos ruin it. We’re fiercely committed to changing this cliche by running an independent, politics free and community run organisation that is truly dedicated to offering instructors and clubs the opportunity to run their business their way with the full backing of a leading UK association. We know that statement is a bit of a cliche in it’s self but when we first started using these terms in 2012, it wasn’t the case. To date we represent thousands of members from across the UK helping to promote safe, professional martial arts and combat classes without excessive red tape or politics. Most importantly, our clubs are free to remain independent and decide upon how they wish to develop without interference from a power hungry, money centric governing body. By joining our organisation as a martial arts instructor or club you’ll be able to enjoy affiliation to one of the UK’s leading professional organisations for martial arts instruction. 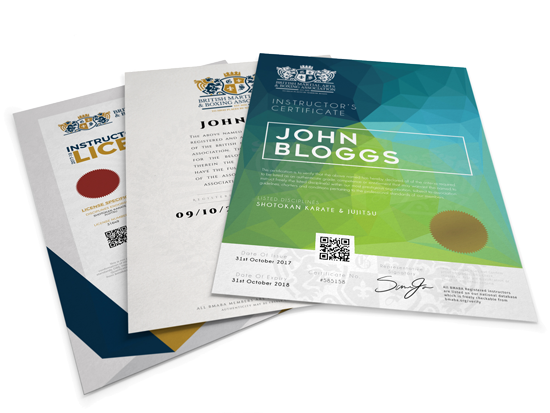 Alongside our professional certification & licensing you’ll enjoy a range of other essential features – such as a club website, blank documents and forms, free club listings, student grading certificates, insurance, licensing and more. Best of all, you remain completely politics free and genuinely independent. We’re here to support you – not hold you back. A few key things we offer our instructors. We offer all of our members the opportunity to be a part of an industry leading body for professional martial arts, boxing & combat instructors, coaches & senseis. Our Association offers those who are genuine professionals the opportunity to gain recognised qualifications and certification. Alongside our certification and licensing we provide some of the finest & most comprehensive membership benefits, features, resources, licensing tools and insurances to those who call the BMABA their home. Politics has no place in our beautiful arts. Unfortunately so many associations let petty squabbling and politics get in the way of their job – representing, supporting and developing their members. We’re proud to have been politics free since 2012. You’re never bound to be a part of our Association and you can terminate your membership to us at any point. You don’t need to buy into our programs or qualifications and you most certainly don’t need to surrender your freedom to teach. We’re a community led organisation and therefore we don’t want members who don’t want to be a part of our Association. For this reason we always offer a fair & transparent governing body to be a part of with affordable and clear fees. Although there is a director at the helm of our Association we have a trusted committee made up of real members representing the interests of our instructors. As a member yourself you’ll always have the right to make decisions on our future. We set standards that mean only genuinely qualified instructors and senseis are able to hold membership to our exclusive & professional organisation. If you’re up to our standards you can be one of the UK’s most recognised instructors. The certification issued in-house by our body is recognised by most as some of the best certification and martial arts licensing available anywhere in the world. What’s more – all of our certification is checkable with industry leading verification. Enjoy comprehensive member to member insurance, beautiful student certification, leading student licensing, grade recognition, student resources & more from a nominal annual fee of just £4 per student, per year. Enjoy business support that helps you start your own club, build up your members and develop an established club into a legitimate business. Make the steps from start up to full time Dojo with free support & guidance throughout. Our membership is swelling and with this so too is our community. Our member’s area is made up of link minded professionals from all levels of the career-chain and all grades & styles. Network and grow within our friendly community. We’re here to support you – not limit you. With the British Martial Arts & Boxing Association (BMABA) you’re free to run your club your way, charge what you want, grade as please and maintain your club’s independence. There’s a world of possibilities awaiting you & your club.